Another school day, another ootd. 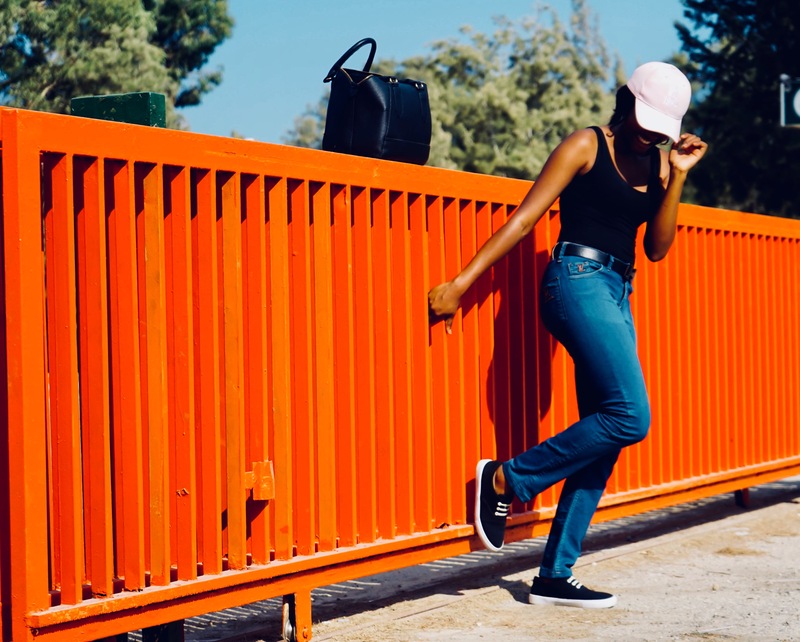 I actually like this ootd posts cos they are never planned, I just run into a camera and I share; I think am going to do more of it though because am really working on my consistency so I guess everything works. Well today’s outfits is very basic but still stylish; even though it’s already fall, the weather here still says summer (the only reason I can still wear an open bodysuit this season). In the past seasons, a bodysuit has turned into a staple and must have in a girls wardrobe and well for me it’s a must have because it just stays put, like the name, it’s a suit. The staight LV denim trousers actually belonged to a male friend of mine, but I possessed it (if you know what I mean) as mine when I saw the perfect fit and belting it up just gave my figure all I wanted in a perfect retro look finally the sneakers and the baseball cap gives me the trendy vibe I need cos if you replace them with a western hat and wedge sandals or knee length boots, am definitely going for a country girl look. And yeah meet Josh REVD.. I wrote about him in my last post, he helped me create the magic this time too… Josh say Hi!! !